Learn how to sell to each level of government and include them as your customers! 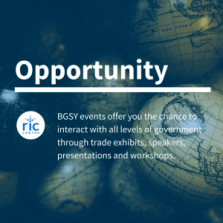 Join us at a complimentary BGSY near you! To attend, register here or by phone at 1-877-553-5507.